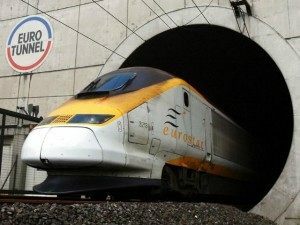 The volume of illegals trying to gain access to the United Kingdom via the railway tunnel beneath the English Channel is now so great, hundreds storm the French terminal every night. 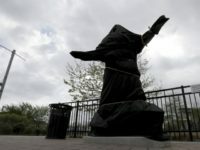 Hoping to stow away on-board lorries or to ‘train surf’ to England, the migrants – of which there are an estimated 5,000 in the town of Calais at any one time – attack the secure area in hope of overwhelming the security and defences. 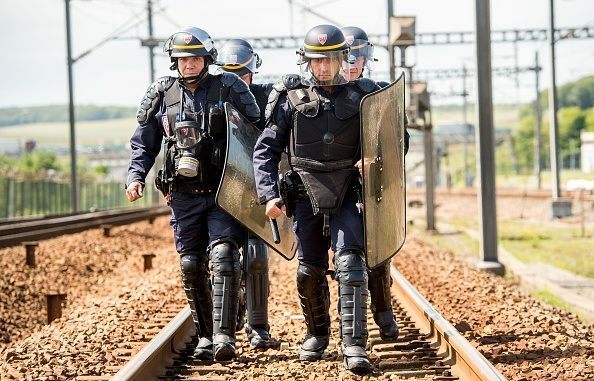 The BBC reports that French police are at the terminal every night to remove migrants, but they were so desperate they were willing to attempt boarding trains travelling at 90mph. “The problem of migrants around Calais is increasing dramatically. It went from some 600 migrants at the start of the year to some 3,000 plus [now 5,000] presently. Their sole intention is to get to the United Kingdom by any means possible, and this is leading them to make some very dangerous decisions. This has led unfortunately recently to two deaths, the latest being this morning. “Eurotunnel has spent €150 million in security in the past 15 years. All of it is targeted at making it harder for migrants to access our sites, and to make our sites safer for our customers. We have put up fences, adding extra lighting at night, cameras, infra-red detectors, extra staff. We have got more sniffer dogs, more controls on lorries entering the system, we have invested a huge amount of money in security”. Passenger trains have been less effected than freight, which mainly goes by night and travels on more easily accessed rolling stock. While a Eurostar spokesman told Breitbart London that their services benefited from travelling by day when there was less migrant disruption, the same was not the case for the haulage industry, which is now losing a reported £750,000 a day through delays. Responding to severe delays and tunnel closures, Kent police have made repeated use of ‘Operation Stack’, thereby turning the M20 road to the port of Dover into a carpark for lorries awaiting access to the Eurotunnel terminal. “This is a crisis and demands swift and dramatic action. It appears that the tunnel is being laid siege to my many hundreds of people desperate to get to Britain. Ferry operators attempted to take advantage of the chaos, with a port press release saying they were “open for business”.